Mr. Heckenkemper’s practice emphasizes a wide variety of business and personal legal areas; including, commercial transactions (corporation and limited liability company formations, contracts and business acquisitions). He is also actively engaged in mediation, complex business 1litigation, bankruptcy, creditor’s rights, estate planning (wills and trusts), and real estate and probate cases. From 2003 through 2016, he has continuously served as a judge on the State of Oklahoma’s Court on the Judiciary; including terms as the Presiding Judge and currently as the Vice-Presiding Judge. The Court is comprised of eight senior Oklahoma judges from around the state and one member, a representative of the Oklahoma Bar Association. The court has responsibility for deciding disciplinary cases involving alleged improper conduct of state court judges while in office. As an active member of the Oklahoma Bar Association, he has served in a variety of leadership positions on numerous committees. He has been a Commissioner on the Oklahoma Professional Responsibility Commission. Additionally he served as past Chairman for the Association’s Legal Ethics Committee. Since 2003 he has served as an Adjunct Settlement Judge in both the federal and state courts, having been invited by the Judges of the respective Courts, to assist the Courts because of his wide variety of litigation experience. Adjunct Settlement Judge’s try to help litigants resolve disputed matters without a trial, which can save the parties significant amounts of both money and time. As an active member of the Tulsa County Bar Association he has also served on numerous committees, including several leadership positions. He was elected to multiple terms as a Director for the Association and served as the Chairman of both the Professional Responsibility Committee and Legal Ethics Committee. In recognition of his work he was awarded the Tulsa County Bar Association’s President’s Award for distinguished service. Brad also served for several years as a Director on the OSU Alumni Association’s – Tulsa Chapter. Among his other duties, he was elected as the Scholarship Chairman. The Tulsa Chapter is the national association’s largest alumni group supporting the University. Each year the Tulsa Chapter makes numerous awards of financial aid to graduating Tulsa high school seniors enrolling at OSU, who have exceled in the classroom and demonstrated leadership skills. 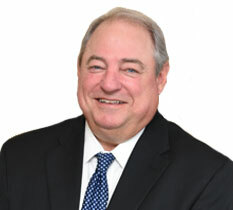 His expertise has been recognized and acknowledged by his peers in national organizations and publications serving the legal profession, including receiving the time honored AV® Preeminent™ rating from Martindale-Hubbell and the Oklahoma Super Lawyers® for his work in business litigation. He is also extremely active in the greater Tulsa community having on numerous civic groups and school based organizations. Some of these include his membership in: Leadership Tulsa Class XXIX, (Membership Committee 2003-2007); Ronald McDonald House Charities of Tulsa Board of Directors 2000-2005; Tulsa Country Club Board of Directors; Boy Scouts of America, Christ the King Church’s Men’s Club and many others.